Can I Reset or Change User Passwords? You can manually change or reset your users' passwords in your KnowBe4 admin console by following the below steps. 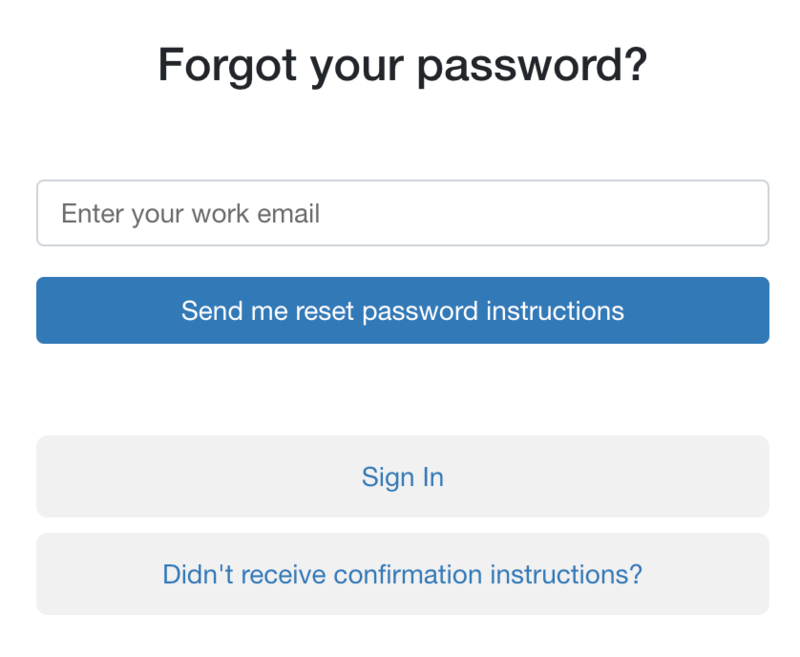 This action will send your users a Reset link directly to their confirmed email address, which they can click on to set a new password for their account and log in. To send your users a Reset link, sign out of your KnowBe4 account by clicking your email address on the top right, and click Sign Out. Next, open a new browser window, and navigate to https://training.knowbe4.com/users/password/new. You can also send your users directly here if you'd like them to reset the password themselves. Enter your user's email address (the one registered for KnowBe4 training) on the next page, then click Send me reset password instructions. 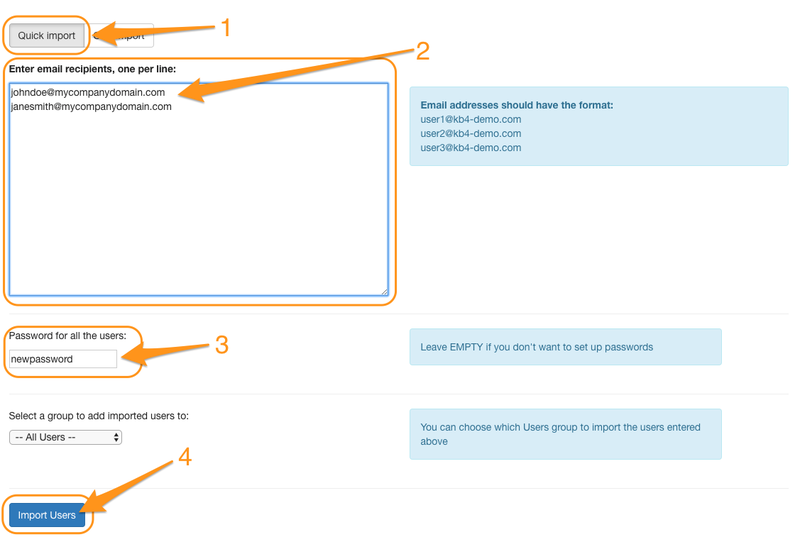 Your user should receive an email with a reset link within minutes. The link will be valid for approximately six hours. If they do not receive this email, they should check their junk or spam folder. If they are unable to locate the email, we recommend manually changing their password using the set of instructions in the section below. To manually change the password(s) for one or more users, you have two options: the Quick Import Method or the CSV Import Method. While logged in to your KnowBe4 admin console, navigate to the Quick Import tab beneath Users > Import Users. Enter email addresses of the users who you'd like to change the password for, one per line, with no commas or spaces. Next, enter a password beneath the Password for all the users text box. This new password will ONLY affect the users you've placed in the Enter email recipients text box above. Finally, click Import Users. The users you included will now be able to log in with the password you assigned. Create a CSV with two headers, Email and Password, as shown below. 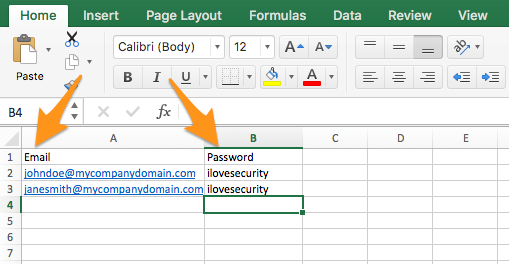 Enter email addresses of the users who you'd like to change the password for beneath the Email header, and then place the desired password underneath the Password header of the CSV. Save the CSV. Note: If you need to change the password for ALL of your users, you can download a CSV from the Users tab to quickly obtain a list of all user email addresses in the console. Be sure to remove yourself from this list though, or else your password will be changed as well. 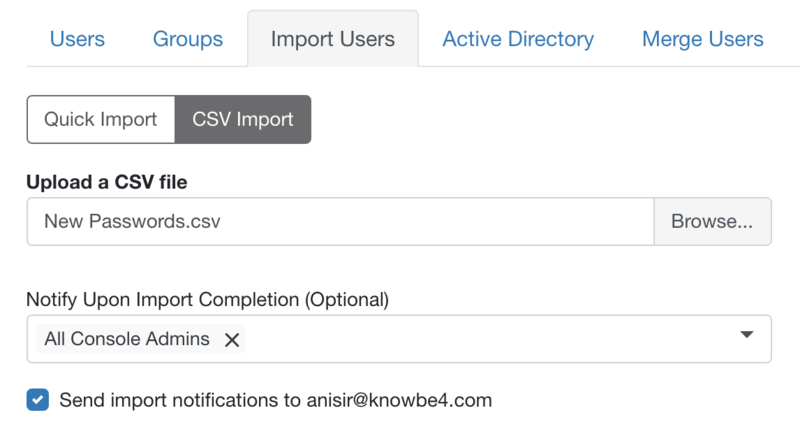 While logged into your KnowBe4 admin console, navigate to the CSV Import tab beneath Users > Import Users. Click the Browse button and select the CSV you just saved. Note that this import will not duplicate or overwrite any information--it will create a new password for the user(s) you've included in the CSV. The users you included will now be able to log in with the password you assigned. Still need assistance? Contact Support.